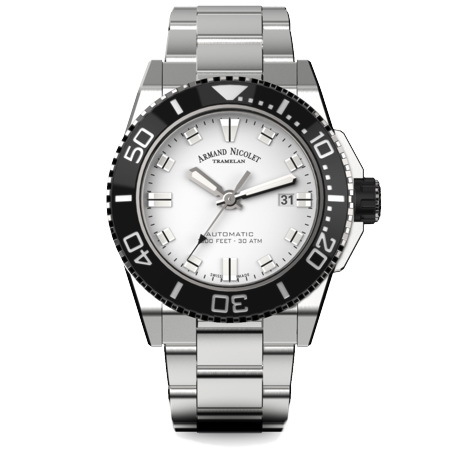 Armand Nicolet has released a brand new diver’s model for 2018. AN have come close to producing a diver in the past but their watches in this segment have always leaned more closely to sports rather than dedicated divers models. The JS9 Diver has a 44mm x 13mm Stainless steel case with 300 meters of water-resistance and is powered by an AN2846-9 Swiss auto. Divers features include a turning bezel with ceramic inlay, AR-treated Sapphire crystal and screw-down case back and crown. 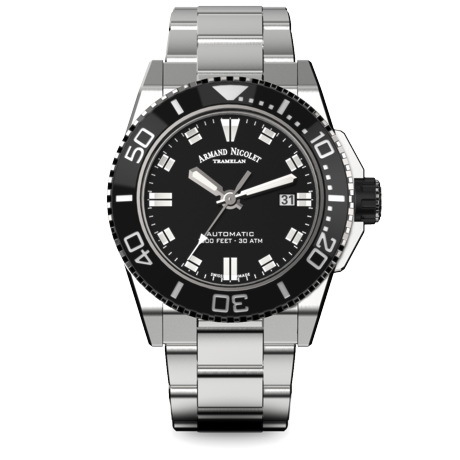 The JS9 comes in collection of 7 variants of which 5 models are in Stainless steel and two are in black DLC. The Ss variants are offered with a choice of black, blue or silver faces. 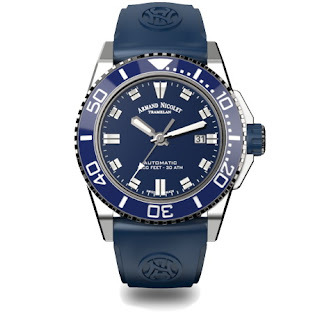 The blue variant has a matching blue ceramic bezel while the black and silver dials come with black inlays. In addition to these there are two versions with Rose Gold hands, dials and bezel markers and accents as on the DLC variants. 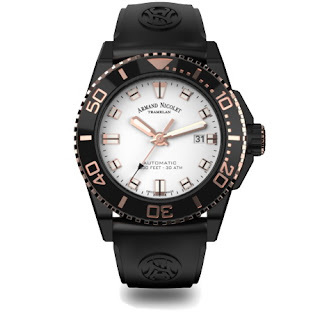 The watches are supplied with either 3-link 316L Stainless steel bracelets or rubber straps with 316L deployment buckles. MSRP, from 1600CHF. Thoughts? Not a bad looking diver if not a little generic – at least they’ve refrained for jumping on the retro bandwagon, kudos for that.